Thank you for helping to make the Sixth Annual ArtSeed Art-a-thon possible! Click to view Art-a-thon 2014 photos. 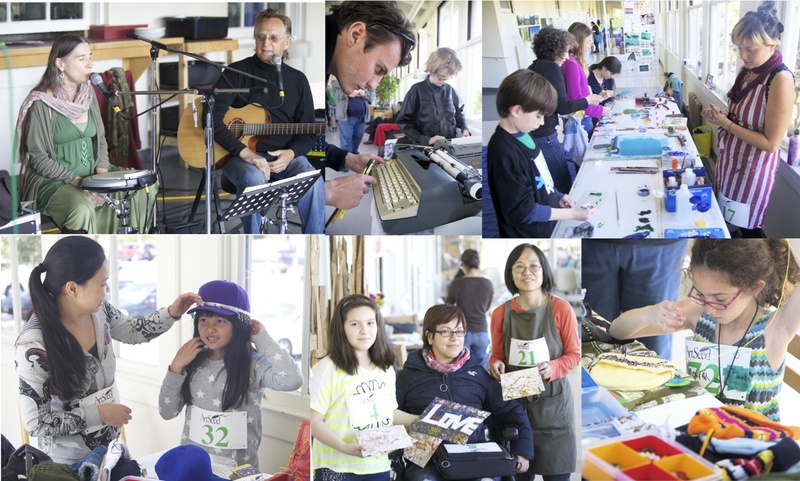 On April 26, 2014, we made a variety of art at more than a dozen different artist-led stations during the ten-hour day. Art-a-thoners had a great time making art to live music by The Mystic Trubudoors, William Klingelhoffer, the Bruno Pelletier-Bacquaert Trio, Patrick O’Malley with Sydney V.B., Jeske D. and Trey Houston. Families, couples and individual artists of all ages practiced drawing, painting and collage, printmaking, animation, typing, sewing, duct-tape wallet-making, character-making, wood-carving and more. 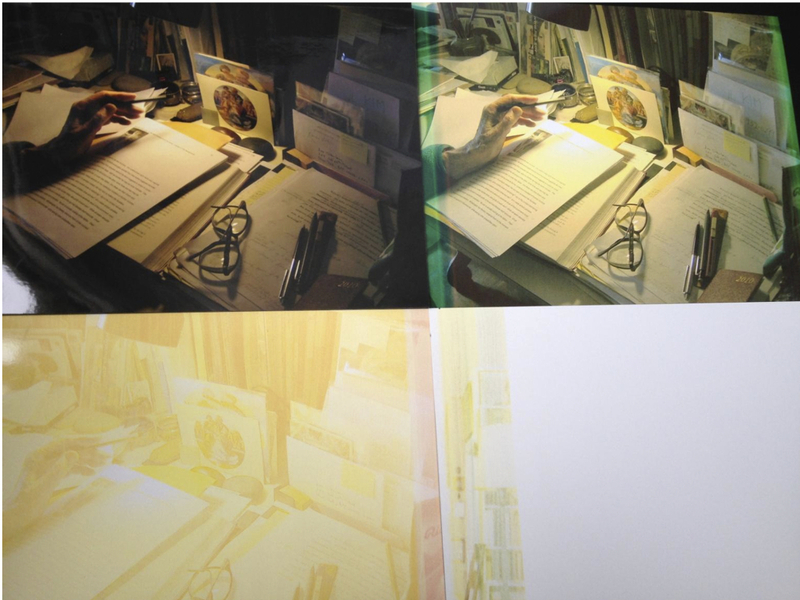 Big thanks to satellite ArtSeed artist Luned Palmer, who organized a simultaneous Art-a-thon in New York. Heartfelt thanks to Matt Boris, ArtSeed’s board secretary, who takes the prize as largest Art-a-thon donor whose gift and pledge fed the race’s competitive spirit! A special shout out to the top ten fundraisers this year: Josefa Vaughan (1st place), Marissa Kunz (2nd place & 1st place for total number of sponsors), Trey Houston (3rd place), Luned Palmer (4th place), Sydney V.B. (5rd place & youth winner), Jade K. (6th place and 2nd place for youth), Caroline Liddell (7th place), Christine L. (8th place & 3rd place for youth), Todd Standish (9th place), and Dina K. who won 4th place for youth and tied Joseph Aponte for 10th place. Please visit ArtSeed’s website to get further updates about the outcome of this important event. Big thanks to in-kind donors, especially the Inn at the Presidio for the grand prize: a special night for two won by Marissa Kunz! The Art-a-thon raised $9,000. We are grateful to everyone involved. Scroll down to view a full list of Art-a-thoners, volunteers, performers and in-kind donors. Click to view sponsors. With your support, the Bayview Hunters Point community continues to be the focus of our programs. Your donation funds scholarships for ArtSeed’s Apprenticeship Program at Leola M. Havard Early Education School and ArtSeed’s Fine Arts Summer Intensive. We look forward to the redemption of all remaining outstanding pledges and we will enjoy sending out, very soon, our postal thank you to all who gave so generously! Meanwhile, hope to see you at the exhibitions! PERFORMERS: Jeske D., William Klingelhoffer, Patrick Maley, The Mystic Truebudoors, The Bruno Pelletier-Bacquaert, Sydney V.B.